The highest point in Fuerteventura is Mount Jandía (807 m) in the southwestern part of the island. Geographical features include Istmo de la Pared which is 5 km wide and is the narrowest part of Fuerteventura. 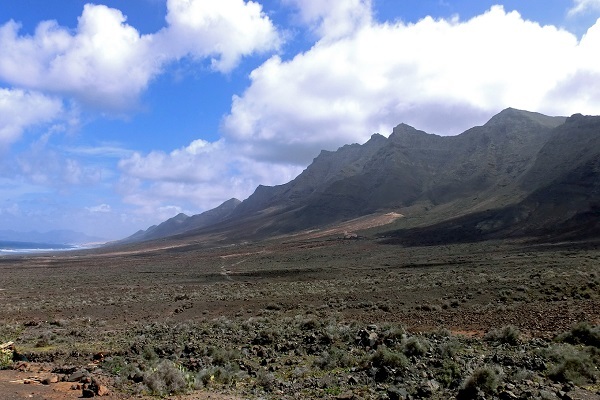 The last volcanic activity in Fuerteventura was 4000 to 5000 years ago. The island’s highest point is the 807m above sea level Mount Jandia. The island is divided into two parts, the northern portion which is Maxorata and the southwestern part called the Jandía peninsula. The island is the least settled in the Canary Islands.